In the past 10 years, CD stores have more or less disappeared from the American landscape. Tower Records had hundreds of locations across the U.S., and was once the place for American music fans to go if they wanted a deep selection from their favorite artists. But that all went up in smoke in 2006, when the company filed for bankruptcy and closed all of its U.S. stores. Japan may be one of the world’s perennial early adopters of new technologies, but its continuing attachment to the CD puts it sharply at odds with the rest of the global music industry. While CD sales are falling worldwide, including in Japan, they still account for about 85 percent of sales here, compared with as little as 20 percent in some countries, like Sweden, where online streaming is dominant. The article offers other statistics that purport to show the Japanese love for CDs, noting that there are still 85 Tower Records stores in the country that pulled in $500 million in business last year. But, of course, large revenue doesn’t say anything about the health of the business. In 2005, the final year that a Tower Records was open in the U.S., it operated 89 stores and did $430 million in sales. The next year, there were no Tower Records in the U.S. whatsoever. Meanwhile, CD sales in Japan continue to decline at a double digit pace, falling 17% from last year. What’s unique about Japan is not so much that they like buying their music in physical form, but that buying music digitally, either in mp3 form or through streaming services, never really caught on. 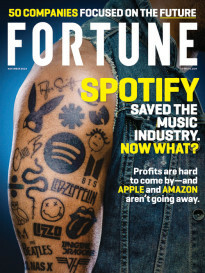 That likely has more to do with the Japanese music industry’s stubborn refusal to make buying music or subscribing to streaming services easy. iTunes launched in Japan in 2005—four years after its U.S. debut, and Sony Music Japan didn’t allow its titles to be sold via iTunes until 2012. That means until just two years ago, a large section of what the Japanese would want to buy online couldn’t be purchased on the world’s most popular digital music store. Meanwhile, the big, global players in streaming, like Spotify, Deezer and rdio, have all been unable to reach agreements with the Japanese record industry to offer their services there. 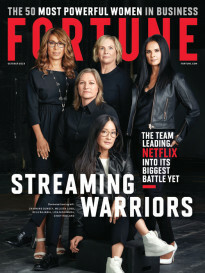 Some domestic streaming services are now starting to pop up—total streaming service revenue in Japan was up 204% last year—but the streaming industry is still playing catch up with the West because of its late start. Meanwhile, the practice of renting CDs is still quite popular in Japan, as copyright law there makes such an industry legal there, unlike in the U.S. This makes it quite easy for listeners to rent an album at 10% of the price of buying it and just rip it to their computer. And, of course, just like in the West, music piracy is very popular in Japan. The Japanese record industry estimates that for every song legally downloaded in the country, 10 are stolen. The problem is so bad that in 2012, Japan passed one of the strictest anti-piracy laws in the world, in which violators can be subject to a 10-year prison sentence and a roughly $100,000 fine. And finally, we shouldn’t look past the fact that Japan has the highest median age in the world. Even in much younger America, it’s the older folks who buy most of the CDs. As people age, they tend to become set in their ways when it comes to purchasing decisions. And since Japan has a higher percentage of older people than any other country, it follows that it would have a larger market for physical music. But make no mistake about it, Japan’s music industry is shrinking, just like the one in the U.S. The convenience of listening to music online is too great, and with the ease of streaming songs on YouTube for free, or outright stealing it, the Japanese public is increasingly questioning why it should pay for CDs. The Japanese record industry might have helped keep CD sales higher than in other developed nations for a few years longer by resisting digital music sales and streaming services, but it can’t delay the inevitable forever.